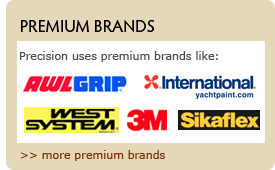 Precision Shipwright Services was founded in Thailand in 1997 by qualified shipwright and boatbuilder Scott Bradley. In the 15 years of its existence, the company has serviced over 1000 sailing and motor yachts for a large variety of refit and repair assignments. Many of our customers have returned for our services, satisfied with our working methods and results. To be an Asian yacht industry leader for high quality, durable and innovative yacht refit services, bringing our customers renewed and enhanced boating experience. Our mission is to serve and satisfy customers in the Asian wide yacht refit market through providing the highest possible quality of refit work within the time lines and budgets agreed upon. Our key company values are: quality, reliability and precision. By abiding to these premises Precision Shipwright Services Co. Ltd. provides superior value to assure a persistent Asian refit market share, growth and profitability. For our employees we aim to be a good employer, providing a safe working environment, continuous training and a positive working atmosphere.